Cats meow to communicate with his master. Whether for a basic need, it may meow when he hurt or is sick. So often when a cat meows, it’s best to try to understand what he says. Your cat meows all the time, without stopping? Here are 15 reasons that could explain the behavior of your loved cat. That said if the mewing of your companion can be quite banal, it is nonetheless crucial to remain attentive to the needs of your cat and his health. If you find that the excessive meowing persists or the animal is behaving unusually, see your veterinarian. Particularly common in older cats, hyperthyroidism can also cause increased or exaggerated meowing. Recall that hyperthyroidism is characterized by excessive activity of the thyroid gland, causing increased metabolism and activity of organs and tissues in cats. Other symptoms include hyperactivity, faster than normal pulse and weight loss. The meowing is the form of voice communication cats. Yours may be trying to talk about the troubles he has experienced or he wants to tell you that something is wrong. A visit to the vet is necessary, especially if it meow is new and that the behavior of your cat seems unusual. Many cats begin to meow when it comes time to eat. Cats can meow as soon as you wake up, or as soon as he sees someone enter the kitchen. Do not forget to check his water dish for be sure it is full and make sure the litter box is clean and nothing is blocking access. All these factors could make him more meows. A nervous cat or anxious tend to meow more. Any change in its environment, illness or loss of a loved one can cause in her anguish. Once you have identified the cause of his discomfort, you’ll be able to get used to the changes it experiences. Give him more attention and offer you calm during the adjustment period. Just like humans, older cats can suffer from neurological problems, including a disease like Alzheimer’s. Exposed to a form of loss of orientation, they meow pathetically no apparent reason, especially at night. Leave a night light on if your cat feels lost overnight. Females in heat meow excessively, and males do the same when they feel the presence of a female in heat. It’s a tough racket to bear. Then follow the Bob Barker board that recommends that you neuter your cat. Just as a child learns to cry to get something, the cat meows to get what he wants. If your cat meows to get you to play with him or to get your attention, do not respond. Respond to requests just when he is silent. If it starts to meow, stay away from him. Do not stay completely indifferent to your cat – consecrate him every day good time attention to let them know that you love Think hire the services of a pet sitter if your cat is alone. Stay home for most of the day. Older cats may begin to suffer from vision problems, loss of smell or hearing and can start to meow unusual and excessively. It is possible to believe that these sensory losses can cause the cat in a state of confusion and irritability. Cats with chronic pain can meow excessive or unusual. In addition, older cats can suffer from arthritis, neurological pain and oral diseases, among others. Your cat will meow as soon as you enter after a long day of work? Surely you’re tired and need to rest, but interpret this meow like a declaration of love. Is not it nice to know that your kitty love you? Most cat’s ages can suffer from brain tumors. Furthermore, meningioma is particularly common and can eventually cause changes in neurological and behavioral level, in addition to cause excessive meowing. Some breeds of cat meow more than others. In addition, the Siamese cats and oriental breed cats are noisier than average. Cats that have their diet change can start meowing excessively. For example, if your cat is overweight and should consume less food, ask your veterinarian to recommend a food that will satisfy its nutritional needs and hunger (eg, a high fiber diet). The cat’s meow is the primary means of communication towards his masters. If your cat wants out, it is likely that meows near the door. Similarly, if your cat is outside and wants to go, he will let you know. 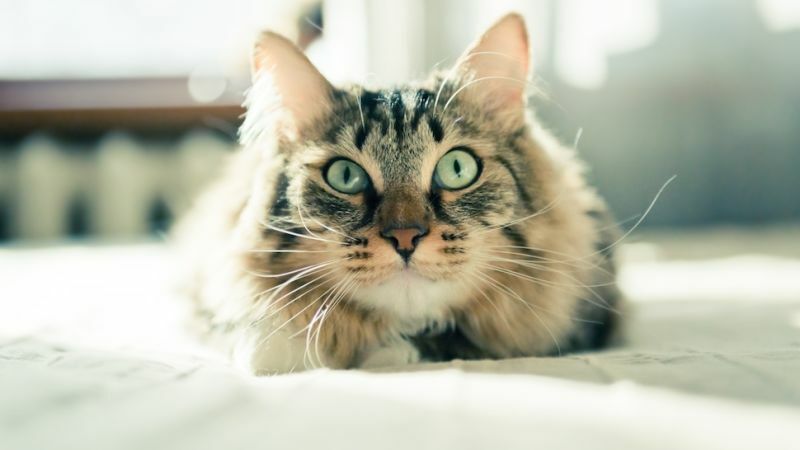 In cats that could previously go out now and should stay indoors, this can cause problems and during this transition, excessive meowing can last up to several months.